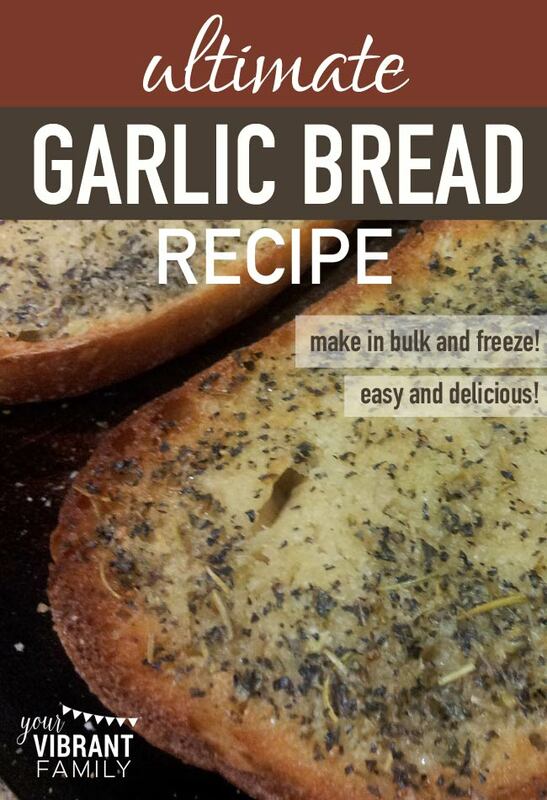 There’s just nothing like a great homemade garlic bread recipe. When my kiddos detect the delicious odor of toasted butter melting into savory garlic, basil and oregano over soft sourdough bread, they come running from every corner of the house! Homemade garlic bread (especially this recipe since you can make it in bulk and freeze it) is one of those indispensable tools that every mom needs to pull out of her arsenal from time to time. 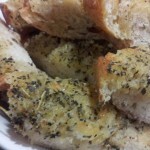 You’ve got to see this easy garlic bread recipe which you can even make in bulk (saving time and money)! Your family will thank you for it! When I tell them yes, it’s like I’d promised them a new bike! Or an extra hour to watch movies! Pandemonium breaks loose! That’s right! You can unleash the trance-inducing power of garlic bread anytime you want! Want to know how to whip up a batch of homemade, freshly-baked garlic bread in a matter of minutes? It’s super simple. In fact I can’t believe it’s taken me 12 years of marriage and thousands of dinners to figure out. You’ll combine three kitchen powerhouses: flavored butter, bulk cooking and your freezer. You are going to make 4 large loaves of this amazing homemade garlic bread recipe–at one time! That means at least 4 whole loaves or 8 half-loaf servings will be prepped in your freezer and ready to go whenever you are! Serve it up with some boxed soup and tossed salad, and you’ve got the perfect quick weekday meal! 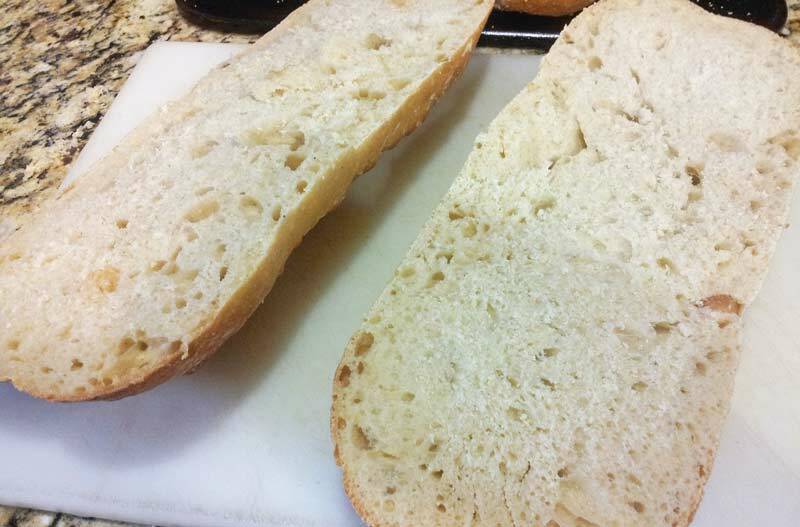 And did I forget to mention that this homemade garlic bread recipe is cheaper, healthier (and tastes better) than the pre-made, store-bought stuff? Read on for the action plan. Don’t forget to grab your superhero cape at the door. Slice open all loaves and lay them face up. 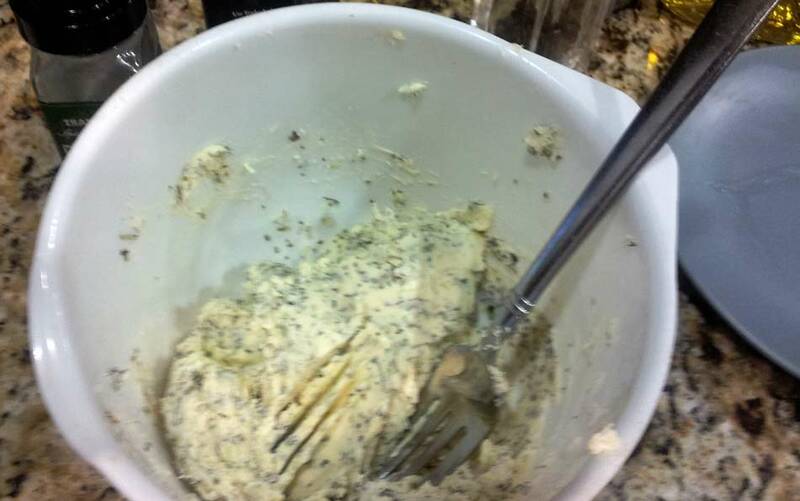 In a large mixing bowl, mix butter, spices, garlic and powdered onion with a fork to make a flavored butter. Divide the butter between each loaf half, spreading a generous amount on each. To make sure I have enough butter, I mentally divide the amount (about “that much” of the bowl) or draw divider lines in my butter. Whatever works for you. Then “re-connect” the loaves by placing the buttered sides together. 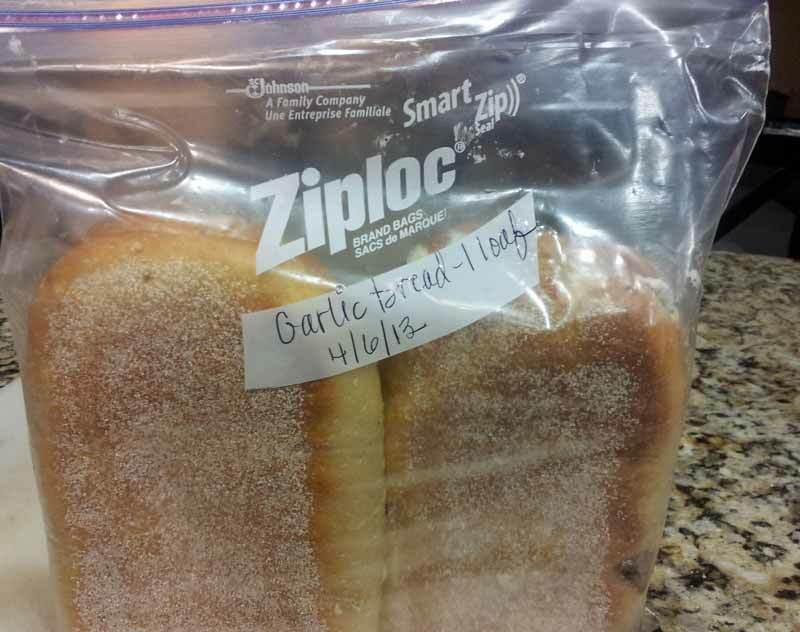 Place each “re-connected” loaf into a labeled gallon freezer bag. Cut the loaf in half (if you need to) to make it fit. Place the loaves in the freezer. They will last 3-6 months. Heat broiler to 450 degrees. 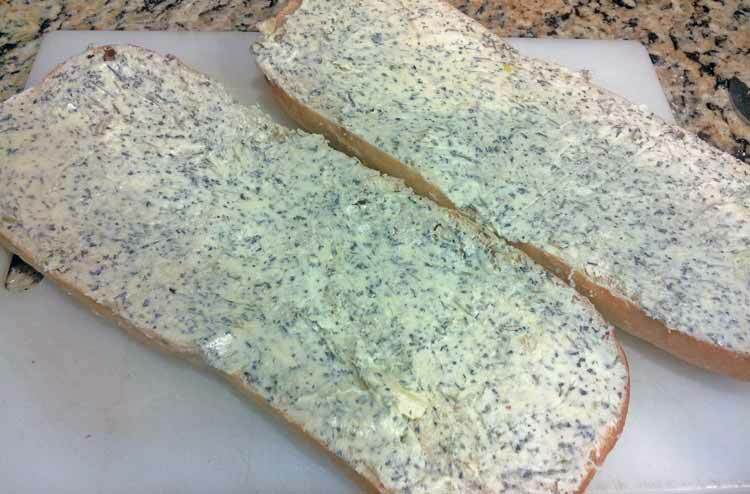 Pull loaf out of freezer bag and use a knife to separate the sides. Try to cut just through the buttered areas. Broil for 5-7 minutes or until the bread is as browned as you’d desire. 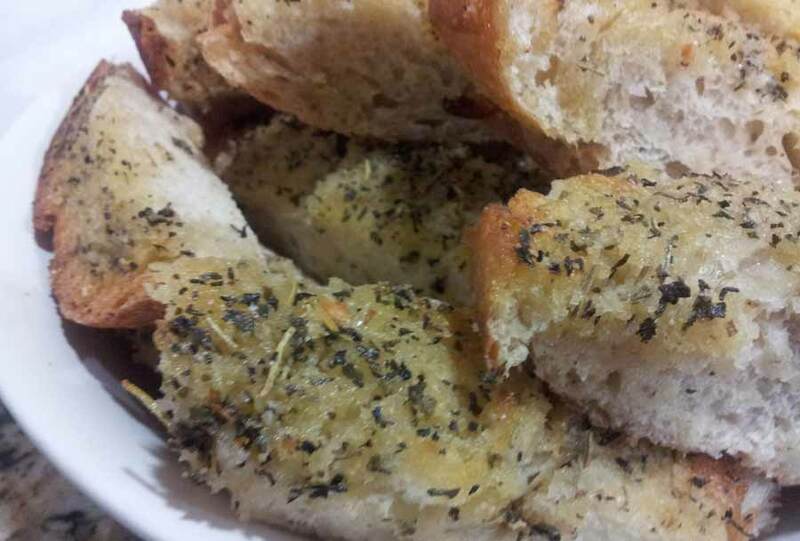 **Disclaimer: It’s true that my family adores this homemade garlic bread recipe. However, since my husband and I (and one of our kids) have become mainly gluten-free in the past year, we only eat this amazing garlic bread once in a very blue moon. But don’t let that stop you! You rock on with your awesome garlic superhero self! Whip up a batch and enjoy!